The lotus being a symbol of transformation, love, purity of heart and mind, is traditionally well used for weddings and marriages up to today. 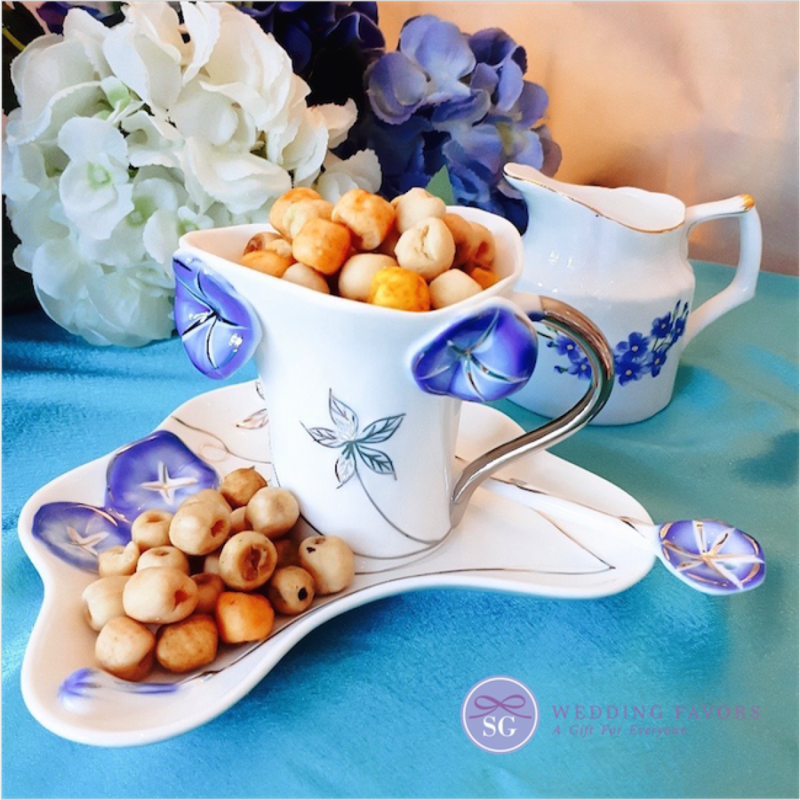 A gift of lotus seeds is a gift symbolic of your love whilst being a healthy snack! With many different flavors to choose from, treat your guests to these tasty snacks on your special day - they'd be asking for more! Choose from a variety of tasty flavors for your guests and yourself to enjoy! Lotus seeds are a good source of protein, magnesium, potassium and phosphorus. They are low in saturated fat, sugar, sodium, and cholesterol, making these a healthy edible favor choice. Recommended serving size: 40g - 50g per favor. Each purchase is bulk packed in 1 KG packs. All our Helios Lotus Seed Snacks are certified organic. They are also suitable for vegans and vegetarians. Expiry: usually within 1 - 2 years before opening, and 6 months from opening. Lead Time: please allow at least 1 week for these to be arranged. Do contact us should you require them sooner!